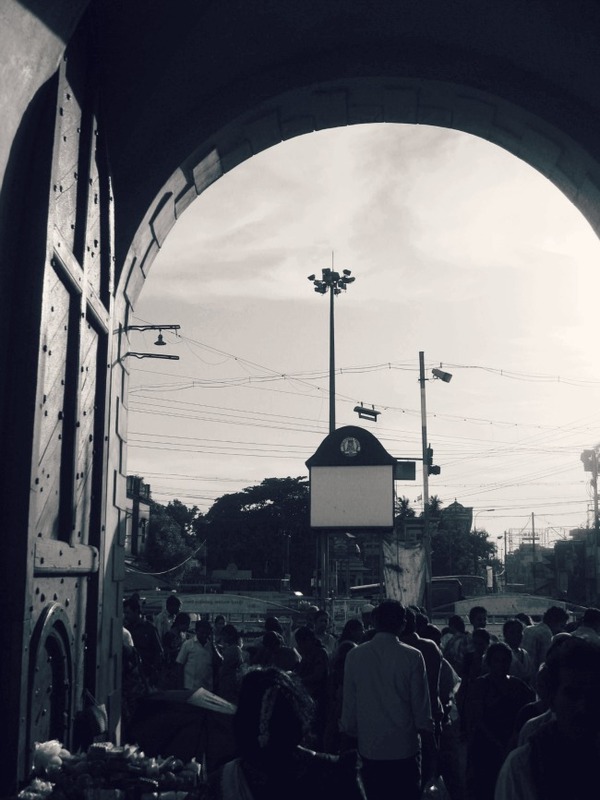 Your trip to the Trichy fort a.k.a Rock fort begins at the Main Guard Gate, which served as one of the main entrances to the fort's premises. The arc gate is pretty massive - in both height and width, as you can see from the image. The fort wall on which this gate is situated, encloses a rather wide area which has the fort, its temples, a lake and the commercial heart of Trichy - what has now come to be known as Main Guard area. Is the size of a door proportionate to its strength? Or like i mentioned in an earlier post, is it about what its trying to keep out? Either ways, interesting piece of architecture. Don't be surprised if you've missed noticing the gate's size, coz it can get pretty busy around there.